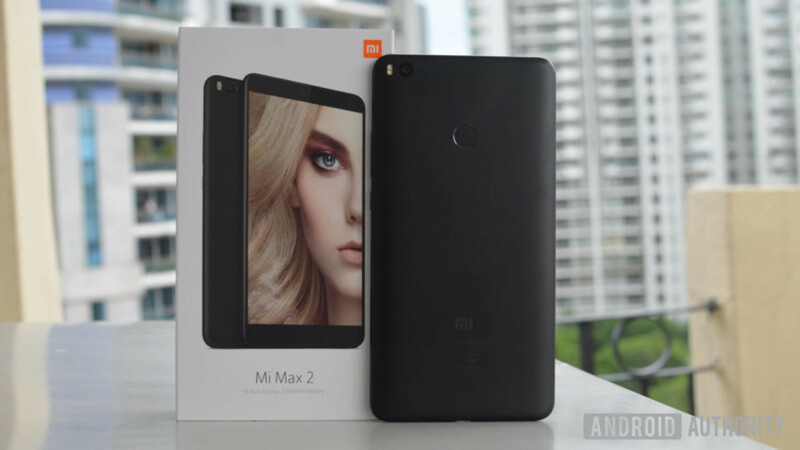 The Mi Max 2 is a unique device that sits on the intersection of a large smartphone and a portable tablet, and excels at that offering an incredible battery life. Phablets, or smartphones with display sizes larger than 6 inches, can cause quite a divide in opinion. The large form factor is a complete deterrent for most people, yet there is a niche audience for these big smartphones – young people who watch a lot of videos or are gaming enthusiasts, or professionals who enjoy the large real estate while emailing or working on documents and spreadsheets. It’s actually quite addictive if you can live with the size – not that the latter is easy. And then there’s the huge battery life – a natural outcome of the large cell that a huge phone manages to pack in. After introducing the Mi Max last year, Xiaomi has now launched the Mi Max 2. While it is mostly a progressive iteration of the first generation device, does it make for a compelling phablet and should consumers coming from regular-sized smartphones pick one up? Let’s find out in our review! For the purpose of this review, I took the Indian variant for a spin. Xiaomi has launched a single variant – in memory configuration as well as color – in the country. For the video review, Bailey Stein has the international variant, in a different color. So, we’ve got it all covered. With a 6.44-inch display, the Mi Max 2 is huge in size and despite what the company wants to assert, it’s not really a comfortable phone to use when you’re walking or juggling around with more than one tasks. Typing with one hand is a tough task, for example, and it’s too big for any kind of pocket. But let’s get it out of the way because that’s precisely why you’d want to pick this phone up. It’s a big phone and at that, it’s designed quite well. For a mid-range smartphone, the Mi Max 2 looks quite nice and the metal chassis gives it a definite premium feel. The construction quality is solid, and the matte black variant looks stunning. At 7.6 mm, it’s also quite slim and it’s remarkable that it packs the big 5,300 mAh battery that it does. It’s not light (over 200g) but the weight is evenly distributed and it doesn’t feel heavy at the top. Also, the rounded edges and sloping back make it easier to hold. The fingerprint scanner on the back is a tad difficult to reach, especially if you have smaller hands. On most occasions, I had to use two hands to place my index finger on the scanner – not entirely because it was out of reach, but because I was conscious of not dropping the phone due to the awkward lack of grip while extending the finger. The bottom of the device sports two symmetrical grilles on either side of the USB Type-C port. That’s mostly cosmetic because only one of them is an actual speaker. Overall, the Mi Max 2 is almost similar in size to its predecessor but the design and finish is definitely more refined this time around and more aligned with the Xiaomi design language that we’ve seen recently. The Mi Max 2 features a Full HD 6.44-inch display which gives it a pixel density 342ppi. A higher resolution on a phone of this size would’ve been nice, but that would’ve also required a more powerful processor. The display offers a decent level of color reproduction, and the contrast is good and it looks vibrant. The brightness levels are just about okay and phone also offers good daylight visibility, but auto-brightness doesn’t always work well and I had to resort to manual calibration sometimes. Unfortunately, the viewing angles are limited, which is a tad disappointing for a smartphone that aims to please video consumers. The Mi Max 2 also boasts of Corning Gorilla Glass 3 for protection, which should help protect the panel against the odd bump and scrape. The Mi Max 2 is powered by Qualcomm’s Snapdragon 625 processor, a popular and a capable chipset for smartphones in this price segment. Still, it’s a step down from the Snapdragon 652 found on the original Mi Max, and specs sheet watchers will likely be a tad miffed. However, combined with the 4 GB RAM it packs in and the balance it aims to strike between raw processing and power consumption, the Mi Max 2 is an able performer. Yes, it is apparent that it is underpowered in outright speed comparisons and benchmark tests, but in real world usage, the performance isn’t an issue. The phone chugs along nicely while juggling multiple apps or playing graphic-intensive games. At any point, there was a little less than 2 GB RAM left available out of its 4GB pool, so multitasking isn’t an issue. The Mi Max 2 also supports Qualcomm’s Quick Charge 3.0 and parallel charging, which is very important for smartphones with this big a battery else it takes annoyingly long to charge fully. Mi Max 2 takes less than two hours to go from zero to 100 percent charge, which is impressive. Clearly, the focus of the innards on the Mi Max2 is power efficiency and the Snapdragon 625 chipset proves to be a nice workhorse without guzzling into the massive battery. A fine choice, then. The Mi Max 2 sports a hybrid SIM slot, so you can either use two SIMs or one SIM and one microSD card. A lot of multimedia hoarders who use two SIMs don’t usually like this arrangement – more so in a device targeted towards that group – but there’s a generous 64 GB internal storage and many people will be content with that. The Mi Max 2 includes an IR blaster so you can control your home appliances using your phone as a remote. It works with a with a variety of appliances and brands. There’s also a USB Type-C port this time around, instead of the microUSB on the Mi Max, which is a nice and welcome progression. Thankfully, the smartphone boasts stereo speakers, which offer quite a loud sound. While one of the speakers is at the bottom, the other one is next to the earpiece. This arrangement is slightly awkward for directional stereo sounds, but not many people will notice it. The camera on the Mi Max 2 is just about okay. The 12-megapixel rear camera with an f/2.2 aperture manages to capture photos with good color reproduction and contrast in daylight, but the lack of detail is very apparent. The phase detection autofocus mechanism facilitates faster focusing and works quite well in daylight. In low light though, the camera is a hit-and-miss, and captures average photos. Most photos are noisy, and the lack of sharpness hurts the overall image quality. There’s dual LED flash, but it ends up washing out the subject and I didn’t really like using it. The 5-megapixel front camera takes good enough selfies – in daylight, that is. Not so pretty ones in low light. The video quality is also pretty good and in well-lit conditions, it is remarkable. However, since there’s no optical image stabilization, most videos tend to be quite shaky, especially since it’s hard to hold a large phone with a steady hand. There’s also support for shooting time-lapse and slow-motion videos. The Mi Max 2 is Xiaomi’s first device to be powered by Android Nougat out of the box. It runs the company’s proprietary UI layer, MIUI 8.5, based on Android 7.1.1. While the interface may be considered slightly bloated by some and is often behind on major Android updates, the design will feel very familiar to MIUI fans. Xiaomi has worked hard to offer nifty features and utilities on top of Android to enhance everyday user experience. There’s Dual Apps that allows two instances of the same app, so you can open up two conversations in WhatsApp, Second Space which allows users to keep their personal and work setup separate, and a Reading Mode that reduces glare on the display. A couple of these features are quite important for the phablet actually. There’s a one-handed mode that reduces the UI size for a one-handed on-the-move use. And there’s the Quick Ball which allows shortcuts to your preferred apps by just swiping on one side of the screen. Despite running the latest Android version, Mi Max 2 doesn’t offer split-screen functionality which is really a missed opportunity on a device with large display. However, Xiaomi has announced that the feature will roll out with an update soon, and is already available in beta. The Xiaomi Mi Max 2 is really a power bank with some smartphone features thrown in! The Mi Max 2 is a unique device that sits right on the intersection of a large smartphone and a portable tablet. While a lot of people shrug their shoulders looking at the device, there is a definite market for it, as was evident by the success of Mi Max.